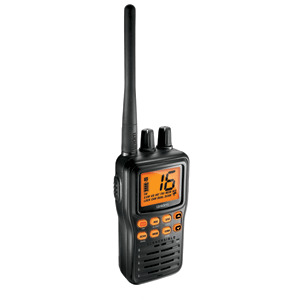 This compact, well built, rugged handheld Marine radio is rated JIS8/IPX8 submersible and is packed with outstanding features. Included accessories are a rapid clip-on DC charger, and LiON rechargeable battery. All USA/International and Canadian Marine Channels - Covers all USA, International & Canadian marine channels keeping you up-to-date with all the latest marine activity. Belt Clip - A sturdy belt clip is included for maximum mobility. 3 Year Waterproof Protection Warranty - Covered by Unidens 3 year warranty including any and all water damage.